SERVPRO of South Louisville will dry the home quickly and apply antibacterial, antiviral, and anti fungal agents to all surfaces that had contact with the water. This ensures the family can return to a safe home. SERVPRO of South Louisville has been dealing with an abundance of fire jobs during the past couple of months. A majority of the fires we have been responding to have most likely started from space heater malfunctions. There are some things you can do to help with the prevention of a space heater starting a house fire. Space heaters are one of the biggest starters of house fires, if you use these tips they can reduce the likeliness that SERVPRO of South Louisville will be doing fire remediation work at your home. We are a localized restoration service that gets the job done quickly and efficiently. Call SERVPRO of South Louisville to book a service. 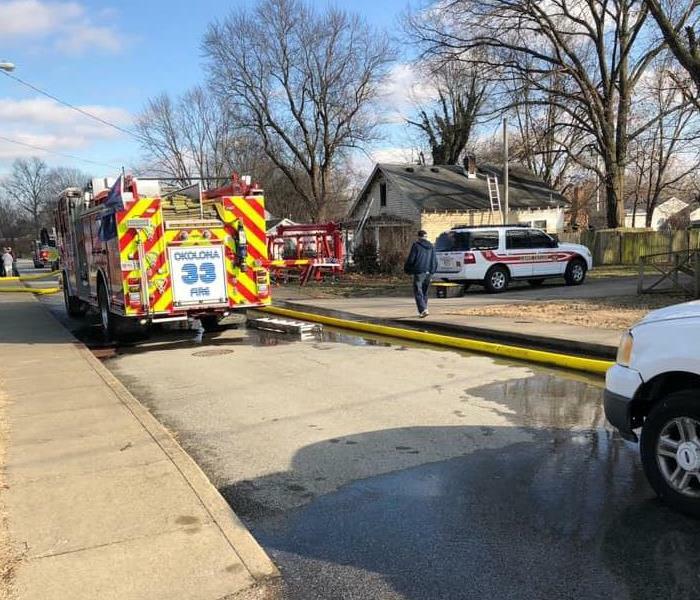 SERVPRO of South Louisville heard about a house fire in the local area and showed up on the scene not long after the firefighters had put out the flames. Losing your home can be a very difficult thing to deal with, so SERVPRO wants to do what we can to provide customers with information on the steps to take during the early stages of the fire restoration process. We are here to help. Our hope is that you, or a family member, never has to deal with a loss of this magnitude. However, if you are ever in a situation where you have a big loss in your home whether its with fire, water, or mold, just remember that SERVPRO of South Louisville is here to help. We want to make the whole process as easy and seamless as possible for the customer. South Louisville recently had some ugly weather where it went from above freezing to single digit temperatures very quickly. 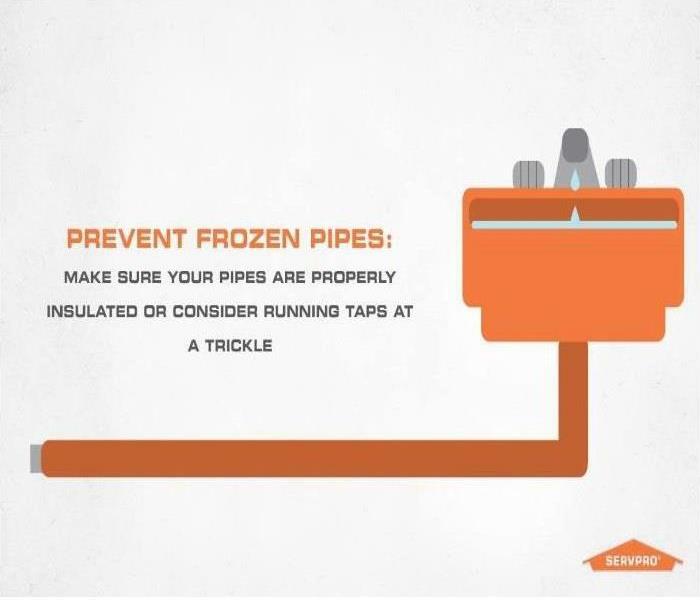 Weather that goes from above freezing then dropping that low for several days can cause pipes to freeze and burst in homes and businesses. 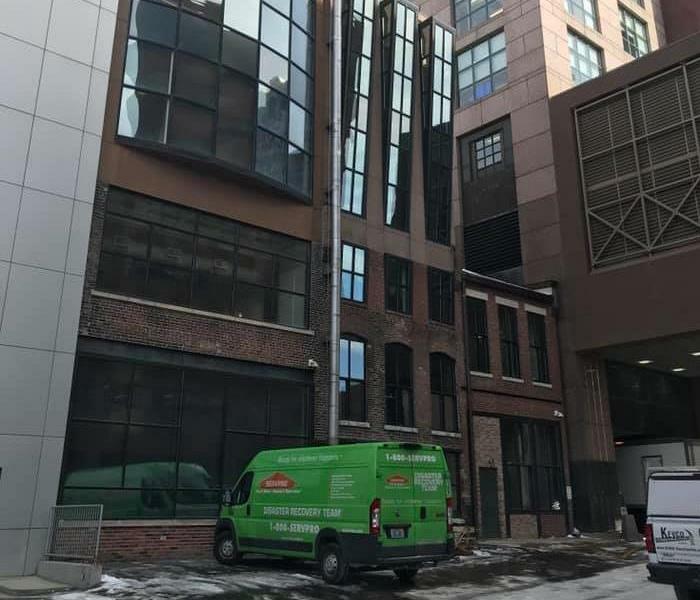 SERVPRO of South Louisville was recently called out to a skyscraper building downtown that had their sprinkler system burst on the twenty-fourth floor, the damage from the water affected all the way down to the twentieth floor. For SERVPRO of South Louisville this was an "all hands on deck" job. All of the production staff, the marketing team, and several office staff were at the building helping to perform the remediation work. Emergencies like this happen on a regular basis, SERVPRO of South Louisville has the experience and the team needed to take care of the problem and make your residence or commercial building is back to normal, "Like it never even happened." SERVPRO of South Louisville was called out to a large warehouse to perform mold remediation on their property. We immediately went onto the property and started the mold remediation process. Our certified technicians take mold jobs very seriously and work very hard to make sure your home or business is safe and clean. At SERVPRO of South Louisville we understand that keep your guest satisfied is your top priority, and you can rest assured that you are ours. Because of the Emergency Ready Profile done at the Drury Inn, they called SERVPRO of South Louisville to put them back to normal. When the unavoidable happens, call the people at SERVPRO of South Louisville and we can help make a very stressful and chaotic situation become more tolerable.